The proposal, as new centre of Kaijonjarju. 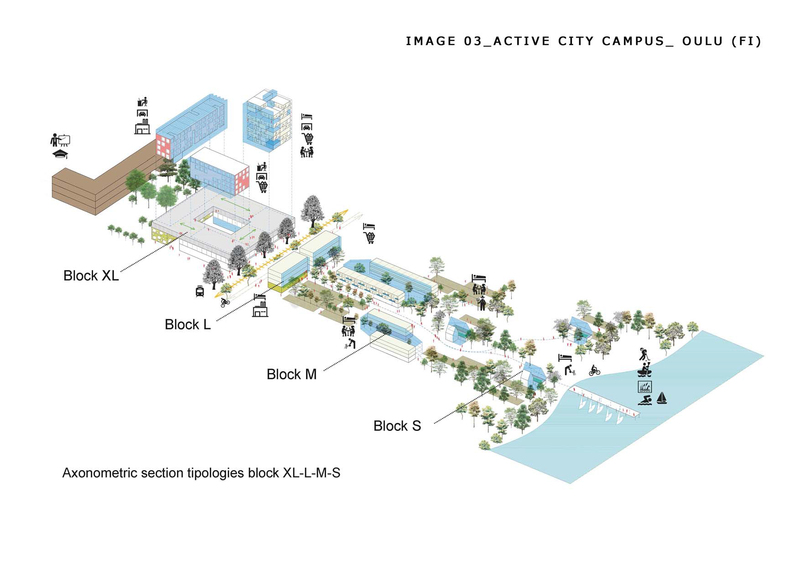 The ambition of the proposal is to develop a unitary, coherent and integrated project in the context, the University (Linnanma) and the student residential centre (Kaijonjarju). To provide to the users enough urban supports to gather and create synergies among them,or to develop their projects and promote innovation. 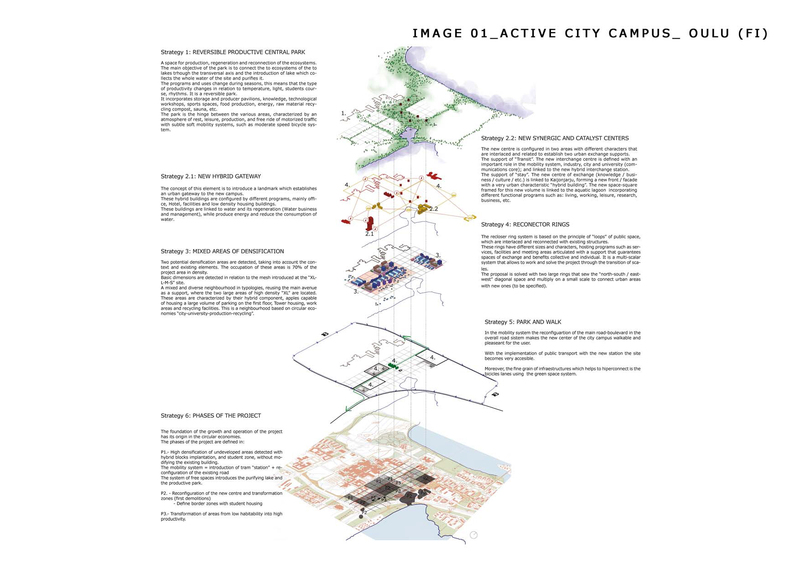 To create a community with collective benefits as well as individual advantages for the development of a sustainable neighbourhood (mixing, integration, compactness, organic growth, reduction of traffic and improvement of public mobility, low consumption of water and electricity). The housing typology is all about applied technology. Already existing technologies are simply being applied into an integrated community design, providing clean energy, water and food right off the doorstep. 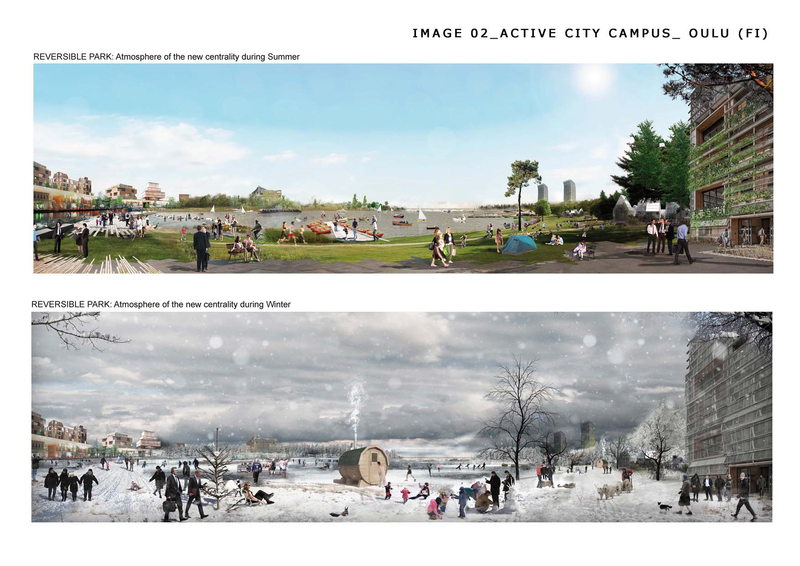 This solution adds not only environmental and financial value, but also social value, by creating a framework for empowering families and developing a sense of community, where people become part of a shared local eco-system: reconnecting people with nature and consumption with production.